Company - Pursue Commercial/Residential Project - Modern Glass Co.
Modern Glass Company has been one of the area’s leading glass companies since 1947. With over 70 years behind us, we have a history of excellence and a solid reputation for quality workmanship. You can count on our ability to service your existing home or business, and we’ll be there for you when you begin that new project, too. Our workmanship is backed by a standard one-year installation warranty, and most of the products that we sell come with a manufacturer’s warranty of five, ten, or even twenty years. Be sure to ask your sales representative for details. Modern Glass is proud to maintain a stable and highly-skilled workforce that is committed to working in a safe, drug-free environment. Our employees work hard to provide you with the latest technological advances in the glazing industry. They attend a variety of industry, craft, and safety training classes each year, so that they can bring their best to each job we take on. We welcome jobs of all sizes. 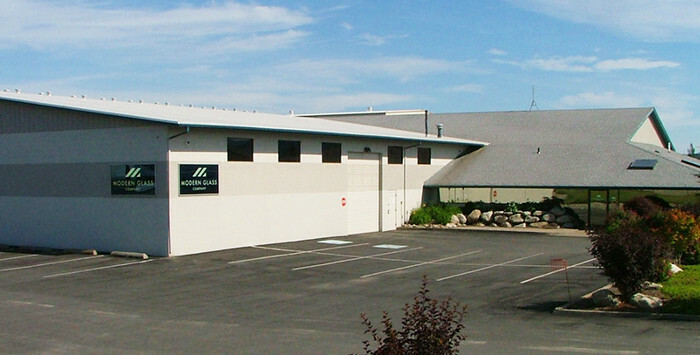 Our main service area includes the cities of Coeur d’Alene, Hayden, Post Falls, Rathdrum, Sandpoint, and the greater Spokane metro area, and we often pursue commercial and larger residential projects throughout the North Idaho and Eastern Washington regions.